Rev. Sun Myung Moon, who died in September 2012 at age 92, was best known for founding the Unification Church and marrying thousands at mass weddings. But we’ll always remember the controversial religious leader as a convicted felon who spent 13 months in federal prison for conspiracy to evade taxes. Moon, inmate number 03835-054, was sentenced to 18 months in custody after a New York City jury convicted him in 1982. 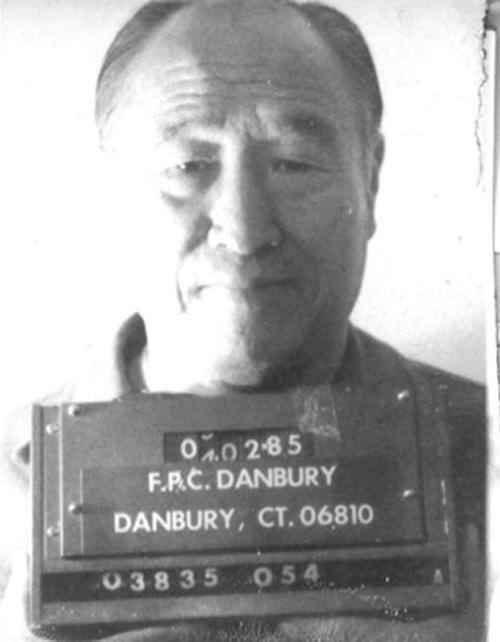 Pictured in the above Bureau of Prisons mug shot, Moon served his time at the federal prison camp in Danbury, Connecticut. Moon claimed that he met Jesus Christ on a Korean hillside in 1936, and that the Son of God told him that he had been tabbed as the second messiah.